The project consists of a slender tower rising from a three story base. The design reflects the dual identity of the site facing both Wilshire and Westwood Village. 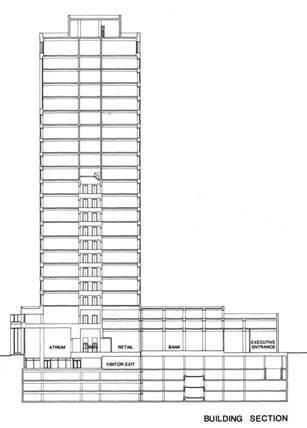 The building height is 22 stories, including ground floor retail space. 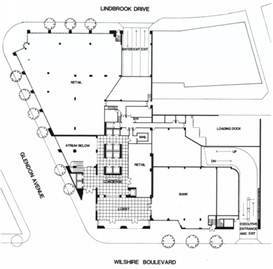 The base of the building is three story in height, to complement the more intimate scale of Westwood Village. Two levels of above-grade executive parking and four levels of subterranean parking provide a total parking capacity of 800 spaces. The building, clad in granite and tinted glass, is designed to reflect a dual identity with a classical presence of Wilshire Boulevard and a less formal façade toward Westwood Village. 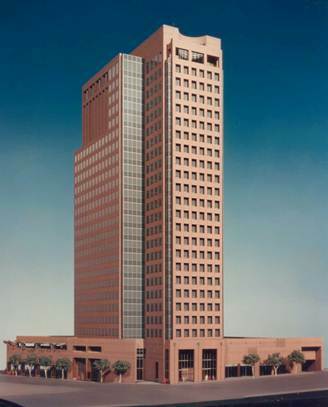 Typical floors of the Tower are 16,500 SF. Gerhard Pichel, President GPA Architects, was the architect of record for this project, while being employed with another firm.